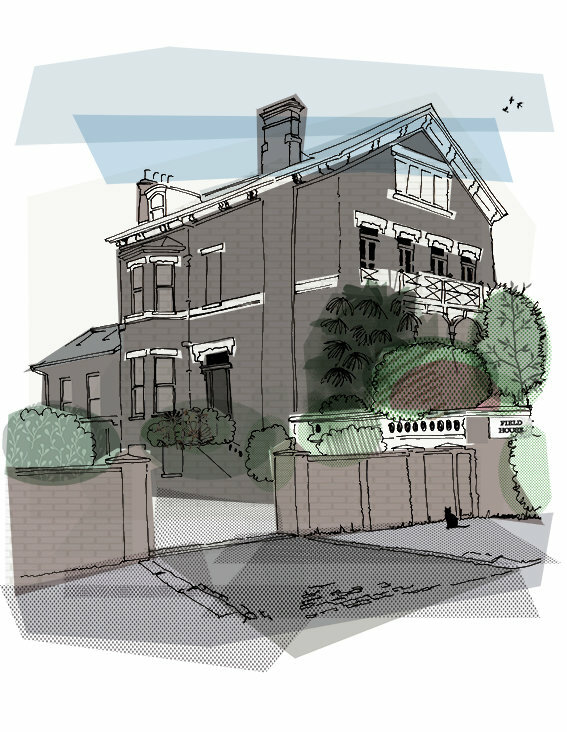 My customer was really pleased with the House Portrait I completed of their friend’s house in #Chiswick. Having focused a lot on illustrations of stone buildings this fabulous brick built house was different for me. It is near the River Thames so has heavy weight flood gates at the front. Happily, I used artistic licence to omit these but include the lovely solid brick wall.